Gorgeously cut, alluring, unheated, Ceylon "champagne" color sapphire. Very sweet gem. Outrageous deal this one. Perfect pendant stone!. An unheated, Ceylon, true "champagne" sapphire, weighting 1.01 cts., pastel, "champagne" color with very slightly pinkish undertones, marvelously executed, pear shape, mixed cut, measures 7.38x6.38x3.08mm, eye flawless, VVS2 in clarity from the gem fields of Nivitigala, Sri Lanka. Great spready stone, facing up more like a 1.6-1.7 cts. stone, and with no window, this has a very appealing and bright color that shimmer even in the dimmest of the light. Unheated material, this command easily 5 times our price anywhere else. On the borderline of being a padparadscha. Real nice stone....and very well priced indeed! Candy-like, full luster with great cut, unheated, Ceylon purple, color change "fancy" sapphire. 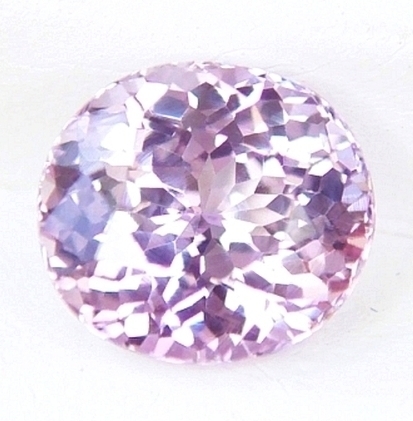 A most gorgeous, unheated, Ceylon "fancy" sapphire with unique color, weighting 1.32 cts., medium, vivid, pinkish-purple color in daylight, changing to medium-dark, "steely" pink in incandescent light, masterly executed, oval "flower" cut, measuring 7.30x6.22x3.69mm, eye flawless, IF-VVS1 from the gem fields of Kuruvita, Sri Lanka. What a beauty. Rare color, a medium, vivid pink-purple that is a feast to the eye. There is a color change to dark pink in incandescent light, that gives a sophisticated twist to the experience. In all, offered at a great price. Plse, do not pay 5 times more for the same quality with other wild companies. Be savvy, be smart. 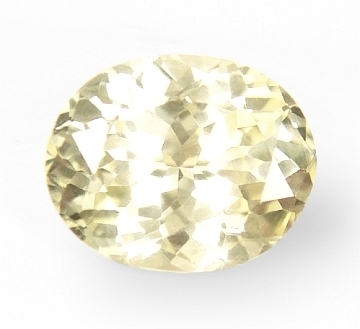 Sparkling & hypnotic, very well cut, unheated, Ceylon white (tinted yellow) sapphire. Beautiful. 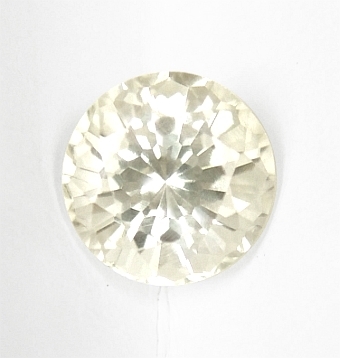 An amazingly bright, unheated, Ceylon white sapphire, weighting 1.0 cts , fine white with a slightly faint, yellowish tint, comparable to a I color diamond, magnificently executed, modified, round, diamond cut, measures 5.7mm in diameter by 4.08mm deep, eye flawless, VVS type2 from the gem fields of Marapana, Sri Lanka. Brilliance, brilliance and more brilliance!. A superb, completely unheated, Ceylon white sapphire with sensuous scintillation and charming eye appeal. This will mount a standard 6mm round setting, so we have many choices available for you. And the price, well,... has never been better! Rare, unheated quality! Simply a brilliant sapphire. Unheated, color shift, "steely" pinkish-lavender to pink, Ceylon "fancy" sapphire. I love this one. Hard to get quality, this unheated, Ceylon "fancy" sapphire has been cut to perfection. it weights 1.86 cts., pastel, lavenderish-pink color in daylight (light tone), shifting to a steely pink in incandescent light, masterly executed, oval "flower' cut, and measuring 7.31x6.56x4.71mm, eye flawless, VVS1 from the gem fields of Kuruvita, Sri Lanka. Brilliant, brilliant, brilliant. And completely natural, no heat treatment sapphire. Destined to appreciate as time goes by. Becoming rarer and rarer to get this material....at these low prices. 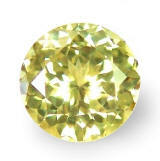 Simply charming, perfectly cut with superb luster, unheated, Montana steely "lime green" sapphire. A very bright, unheated Montana sapphire weighting 1.09 cts., pastel, steely "lime" green color, masterly executed, round, "flower" cut, and measuring 6.2mm in diameter by 3.6mm deep, VVS1 from the from the Eldorado Bar, Missouri river, near Helena, Montana. We picked few pieces of Montana sapphires unheated rough a couple of years back. Nowadays, it is basically unavailable in its complete, natural state. It is as all the sapphires from other locations, normally treated. We had it cut to perfection, and we are now offering it a super great prices. 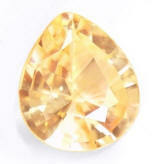 This one is a great sample of perfect cut, perfect scintillation and unique color. Welcome to the most awesome collection of high quality, natural, unheated, fancy sapphires in the world. A "fancy" sapphire" is any sapphire not blue in color. Here you will find Padparadschas, oranges, yellows, violets, pinks, purples, greens, platinums, bi-colors, tri-colors, rare colors that is. All natural, unheated, as mother earth created them millions of years ago. Padparadschas are referred to orange-pink or pinkish-orange sapphires, called after the lotus blossom, the rarest and most prized of all sapphires. With contacts in the mining area of Ratnapura, Nivitigala, Balangoda, Kuruvita, Elahera and other locations in the fabled island-nation of Sri Lanka, we hand-pick the most vibrant, clean and glossy untreated sapphires rough that is offered to us at the lowest, local, dealer prices. We then have it cut it to perfection locally. We also carry unheated sapphires hailing from the nowadays completed depleted mines of Montana in the United States. You will not find lower prices for this high quality offered anywhere else. Be smart. Be savvy. 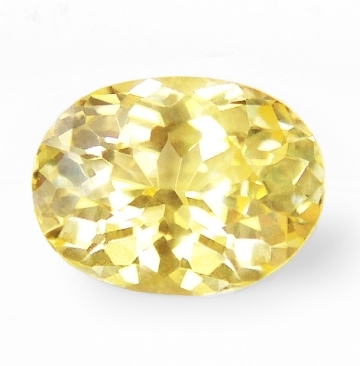 Absolutely perfect scintillation, adorable, superbly cut, unheated Ceylon yellow sapphire. Compelling, very rare, Montana greenish-yellow sapphire. Unique from this US location. And if you like a sapphire from a domestic and historically important location, consider this Montana one. It weights 1.07 cts., an interesting pastel, greenish-yellow color, excellent, oval, mixed cut, measuring 7.1x5.1x3.12mm, flawless gem, VVS type2 from the Eldorado bar, outside Helena, Montana. Yes, Montana have been producing colorful sapphires for the past century. Most are alluvial deposits such as those along the Missouri river. Montana sapphires display a remarkable range of colors including blue, green, pink, and gorgeous yellows and oranges. The only downsize is that the rough size is usually small and the production is very sporadic. Here is your chance to own an American sapphire for very little money. Ethereal, diamond-like, unheated, faint yellow colored, Ceylon "fancy" sapphire. A bargain. Such a brilliant sapphire! 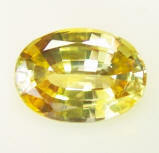 This unheated "fancy" weights 1.26 cts., faint yellow color (yellow tinted white? ), masterly executed, oval "flower" cut, and measuring 7.17x5.75x3.7mm, flawless gem, IF-VVS1 from the gem fields of Ratnapura, Sri Lanka. In a piece of sapphire rough found in Sri Lankan underground, usually the outer, water worn layer, has a deeper, richer color. Usually, the inner core is lighter to almost colorless (like in this case...that is why the purpose of heat treatment). This gem would be the perfect candidate to low heat to perfect white or high heat to golden color...A great price for a diamond-like scintillation & eye appeal of this natural, no heat sapphire. 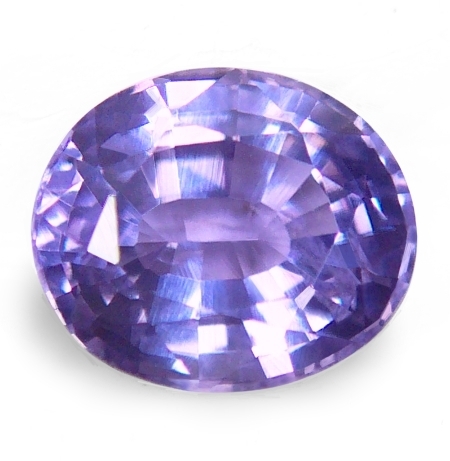 Mesmerizing, magnificently cut, unheated, color change, Ceylon violet-blue sapphire. Candy-like gem. 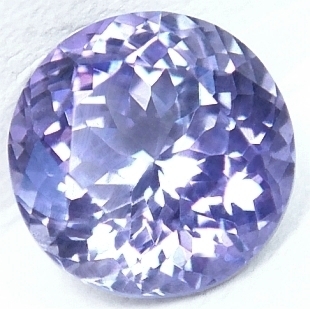 Another rare, unheated, color change, Ceylon "fancy" sapphire, weighting 1.42 cts., medium, bluish- violet color in daylight changing to platinum purple-pink in incandescent light, perfectly executed, round, "flower" cut, measures 6.4mm in diameter x4.3mm deep, eye flawless, VVS type2 from the gem fields of Marapana, Sri Lanka. A very rare, gorgeous, unheated, natural color sapphire with top clarity, perfect cutting and that ideal size to use it in any kind of jewelry. Unheated material is becoming very expensive and sought after, and this one is no exception. No reserve. 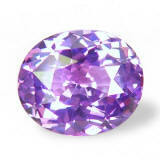 Exceedingly gorgeous, perfectly cut, rare, unheated bi-color bluish-violet & pink, Ceylon sapphire. See this one in real life! A rare, unheated, Ceylon "fancy" sapphire, weighting 1.05 cts., medium, bluish violet & pink, bi-color, perfectly executed, round, modified "flower" cut, measuring 5.9mm in diameter by 3.93mm deep, eye flawless, VS1 type2 from the gem fields of Ratnapura, Sri Lanka. The cut is outstandingly perfect, therefore a fine scintillation is naturally created, very crystalline body as well with top clarity, this will make the ideal candidate for that one of-a-kind ring. 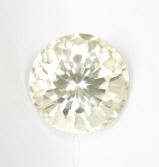 A 6mm, calibrated round sapphire that will mount exquisitely. So many setting choices available...with a rare and beautiful, center gem. Color change as well. Very lively & scintillating, unheated, Ceylon, color change sapphire. Perfect size, perfect gem. 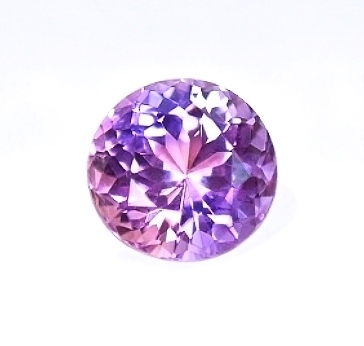 Real nice, unheated, Ceylon color change sapphire, this one weighting 1.25 cts., medium, saturated, bluish-violet color in daylight, changing to medium, pinkish-purple color in incandescent light, superbly executed, round, "flower" cut, and measuring 6.25mm in diameter by 3.88mm deep, eye flawless, VVS1 in clarity, from the gem fields of Pelmadulla, Sri Lanka. A very rare, unheated, Ceylon color sapphire with top clarity, magnificent cutting and that perfect size to use it in any kind of jewelry. 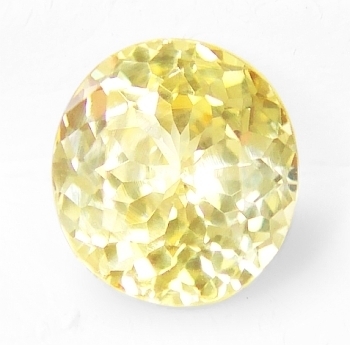 If you like unheated material, and perfect round scintillation, this is the sapphire for you. 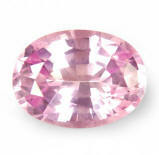 Sweet & feminine, unheated, Ceylon pink sapphire. Very lovely. We had this unheated sapphire for a while now...and it is time for it to find a new home. A rare, unheated, Ceylon, pink sapphire, weighting 1.08 ct., pastel, pure, pink color, perhaps v.slightly orangish in undertone, excellent, oval, mixed cut, measuring 7.08x5.32x3.6mm, eye flawless, VVS1 in clarity, from the gem fields of Kuruvita, Paradise Estate, Sri Lanka. 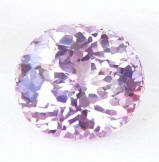 Very sweet gem, with a very feminine & pure pink color, with the look and feel of an Argyle pink diamond. Top clarity as well, one of the most sought after color and rarest of unheated sapphires. Will set exquisitely without breaking your wallet. 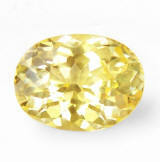 Effulgently adorable, very well cut, unheated, Ceylon yellow sapphire. Beautiful. 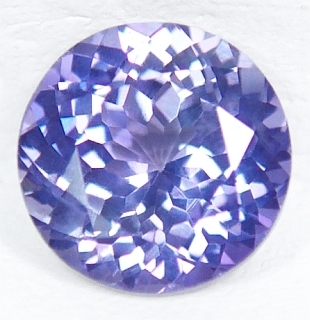 Uniquely lovely, unheated, violet, color change, Ceylon sapphire. Old stock...old price. This is one of those gems that have truly a special vibration to it. 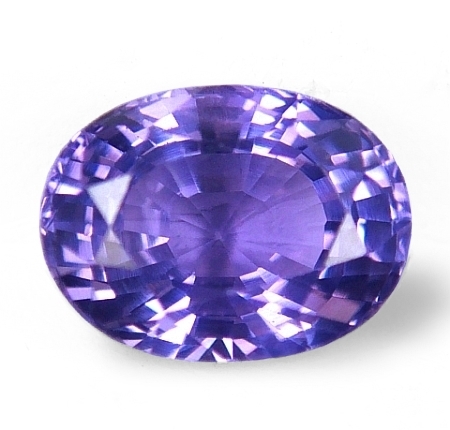 Unheated, Ceylon violet sapphire, weighting 1.64 ct., medium violet color, with a slightly bluish undertone in daylight, changing to medium-dark violet, with pinkish flashes in incandescent light, excellent oval, mixed cut, measures 7.39 x 6.25 x 4.08mm, eye flawless, VVS1 in clarity, from unknown mining location, Sri Lanka. Ceylon. Pure violet colored sapphires are very hard to get, most of the time will have a very strong blue component. If you are looking for something unusual here it is. 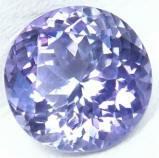 Lovely, pure violet, color change, Ceylon sapphire. Old stock...old price. This a top, pure violet sapphire that weights 1.92 ct., medium-dark violet color, with a slightly bluish undertone in daylight, changing to medium-dark violet, with pinkish flashes in incandescent light, well done oval, mixed cut, measuring 7.95 x 5.95 x 4.37mm, flawless gem, IF- VVS1 in clarity, from unknown mining location, Sri Lanka. Beautiful, unheated sapphire approaching 2 ct. in size, with fine violet color, perfect clarity and good cutting with rare color change. This is an old stock and offered at a very low price.